Our PhD course will allow you to become an expert in a specialist area and provide you with an opportunity to gain high-quality research training. Your research will be guided by supervisors with whom you'll have regular meetings throughout your PhD. Your supervisors will help you put in place an initial plan, provide guidance on your progress, discuss your findings, and set out your plans for the next stage of research. During your first year you'll work on a plan for your PhD project as well as a bibliography. You'll also develop a detailed research proposal and write a literature review. This work will be submitted to a panel of examiners who will assess it and provide you with feedback and advice on the progress of your research. The further years are mostly spent with a focus on writing your thesis which will be examined by two academics (one external to the University). You'll discuss and defend your findings in a formal oral examination called a viva which is a way to further expand on your research and demonstrate your expertise in your chosen area of study. Your PhD can be taken full-time (three years standard, four years maximum) or part-time (five years standard, seven years maximum). You'll have the chance to develop academically and professionally within the supportive environment of a research-led, Rusell Group University. 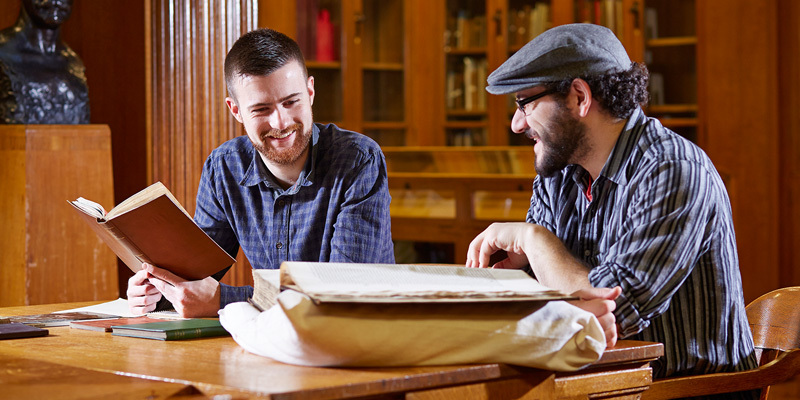 We have an active research culture, hosting regular seminars given by invited academics, staff and current research students which will expose you to the latest historical research. We strongly encourage all prospective PhD students to contact the Director of Postgraduate Research to discuss potential research proposals. The Faculty of Arts, Humanities and Cultures also offers a PhD by Distance Learning programme which is available to UK, EU and International applicants.